A government examination of online safety almost entirely ignored the needs of disabled people, despite them facing “horrendous, degrading and dehumanising” abuse when they try to use the internet, a committee of MPs said this week. The Commons petitions committee said this week that it was difficult to see how the government could tackle this abuse – which it said was even a “life and death issue” for some users – if it failed to consider or consult disabled people. It called on the government to admit that the current model of self-regulation of social media had failed disabled people and to take steps to ensure that social media companies “accept their responsibility for allowing illegal and abusive content on their sites and the toxic environment this creates for users”. The committee’s inquiry into the online abuse of disabled people has heard from those who have been exposed to abuse not just on social media but also through online games, web forums, and comments on news stories on media websites. 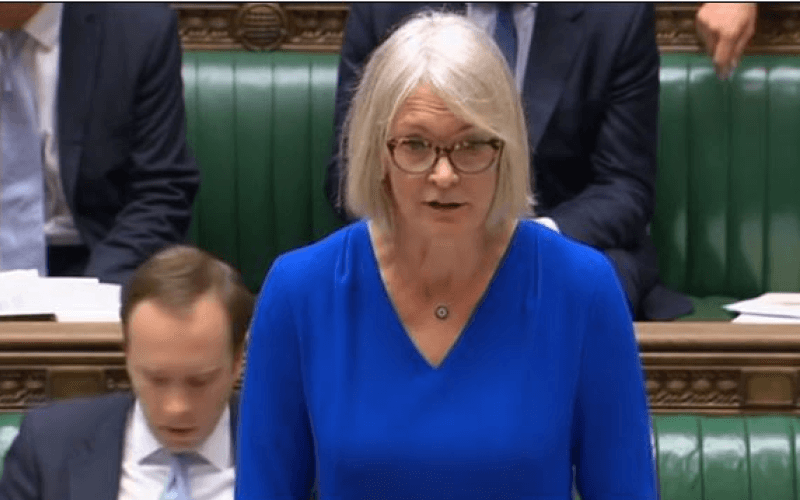 The committee said in the inquiry’s final report this week that it had heard from digital and creative industries minister Margot James (pictured) about the government’s failure to include disabled people in its consultation on the internet safety strategy green paper, which closed at the end of 2017. She told the committee that the government had provided “a link to request an accessible format” of the green paper and that it had held roundtables with “teachers representing mainstream and specialist provision schools”. The committee said that both the minister and social media companies had responded to questions about disabled adults with answers about children. It concludes in the report: “We heard that failing to consider or consult disabled people was sadly the norm rather than the exception. Among the committee’s recommendations is a call for the government to “acknowledge the importance of the internet to disabled people and how disabled people are affected by abuse” and to commit to ensuring that “the internet is no more dangerous for disabled people than non-disabled people”. It makes it clear that there is a need for new laws that criminalise online abuse, and it says the government must consult disabled people “directly” on this. And it says ministers should force social media companies to ensure that all their policies, mechanisms and settings are accessible to all disabled people, which should include the provision of “easy read” versions of all relevant policies. The committee says that social media companies should be more proactive in searching for abusive and extreme content, reporting potentially criminal behaviour, and ensuring their users “understand the limits of acceptable behaviour”. The committee also says that hate crime legislation must provide disabled people with the same protection as it gives those who experience hate crimes due to their race or religion. The report says: “The lack of parity between disability hate crime and offences towards people on grounds of race and religion was brought up time and again by the disabled people we spoke to. It also recommends that the government finds a way to ensure that employers of support workers or other people working with or for disabled people can check whether a potential employee has been convicted of a disability hate crime. And it says ministers should launch an immediate review to address the issue – particularly affecting people with learning difficulties – of criminals “befriending” disabled people with the aim of exploiting them financially or sexually, both online and offline. But the committee says that any change in the law that results from such a review must be co-produced with disabled people to ensure that “their capacity to make their own decisions is respected and that they are not further marginalised”. The committee says in the report that too many disabled people had told the inquiry that their experiences with the criminal justice system had been “largely or wholly negative” and that there was a lack of national co-ordination and long-term funding in tackling disability hate crime. A spokesperson for the Department for Digital, Culture, Media and Sport (DCMS) said: “The Digital Charter set out our ambition for everyone to safely access the opportunities of the internet. The white paper is due to be published early this year. A DCMS spokesperson said the department would consult further with disability groups as part of the white paper consultation, and that the government knew there was more to be done to make sure it was engaging and involving disabled people in policy-making. He also said DCMS had been working on the white paper with organisations including Disability Rights UK, Changing Faces and AbilityNet, and was looking at how it could improve its engagement and consultation with people with learning difficulties. The government announced last October that the Law Commission had been asked to review current hate crime legislation – as the commission recommended four years ago in a heavily-criticised report – following concerns that it does not offer disabled and LGBT people equal protection to that given to other protected groups. The review is likely to include examining the possible extension of aggravated offences – which have higher sentences and currently can only apply to crimes linked to race and religion – to disability, sexual orientation and transgender identity.